OTTAWA -- The Liberals checked off many of their remaining promises to veterans in Wednesday's federal budget, but left one big priority marked incomplete: giving injured ex-soldiers pensions for life. And anyone who was hoping to see more money committed to the Canadian military was left disappointed as the government did precisely the opposite, delaying billions of dollars in planned spending for new equipment. Finance Minister Bill Morneau's new fiscal plan did include new spending for veterans and their families, specifically $725 million in promised additional benefits over five years. Those include up to $80,000 for long-serving veterans who leave the military and want to go back to school, as well as a new program that will offer job-coaching and other assistance obtaining a civilian job. The budget also expands the financial benefits available to family members and others caring for disabled veterans, while making it easier for them to also access career training and counselling services. Funding is also being set aside for organizations that do research on veterans' issues, and for a new emergency fund the veterans affairs minister can dole out in urgent cases. 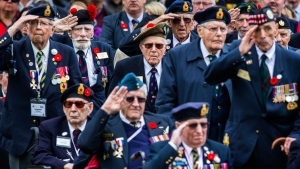 Still, as welcome as the new money will be, the big question for many veterans will be how the government plans to bring back life-long pensions as an option for those injured in uniform. The Liberals were the only party to promise in the election to re-introduce the pensions, which were replaced by a lump-sum payment, career training and targeted income-replacement programs in 2006. The budget says progress has been made, and further details will be announced by the end of the year, but it also sends a strong signal that the old pension system won't be coming back. Officials insisted no decision has been made, but the budget suggests that the lump-sum payment, known as the disability award, could simply end up being spread out through monthly payments for life. The lump-sum varies depending on the extent of injury, with the maximum amount being $360,000, which would amount to $1,000 per month if spread over 30 years. A move to simply break up the disability award sets up a potential battle with those who counted on -- and even campaigned for -- the Liberals on the assumption the government would return to the old system. "It's all smoke and mirrors if they are just going to take the disability award and spread it out," said lawyer Don Sorochan, who is representing six veterans are suing the government over the lump-sum system. The lawsuit, filed in B.C. Superior Court, alleges today's veterans are being discriminated against as the previous pension system provided more financial support over a lifetime. "This doesn't make the lawsuit go away, this budget," Sorochan said. "Why was something good enough for Korean War veterans not good enough for these guys?" Meanwhile, the budget offered little in the way of good news for the military, as the government revealed plans to spend about $933 million less than anticipated on new military equipment over the next six years. Finance officials blamed delays in several procurement projects but insisted the money, which is on top of $3.7 billion deferred last year, would be available when it's needed in future years. Any delay is nonetheless bad news given the large numbers of old military equipment in need of replacement, while experts have worried such deferred funding could get axed in future deficit-cutting. NDP Leader Tom Mulcair accused the Liberals of deferring the funding to massage the budget's overall numbers, reducing the deficit at the military's expense. "Canadians have every right to be concerned about that," he said, "because we are in desperate need of new ships for our Navy, we're in desperate need of new fighter aircraft for our Air Force, and there's no way that with the type of budget we've seen here that they're going to be getting them." The measure was particularly surprising given the pressure the U.S. and NATO are putting on allies to increase the amount they spend on their militaries, which currently equals about one per cent of GDP for Canada. That is half of NATO's two per cent target and puts Canada among the bottom half of allies. The Liberal government did leave open the possibility of adding more money to the defence budget later this year, after it releases its much-anticipated defence policy.